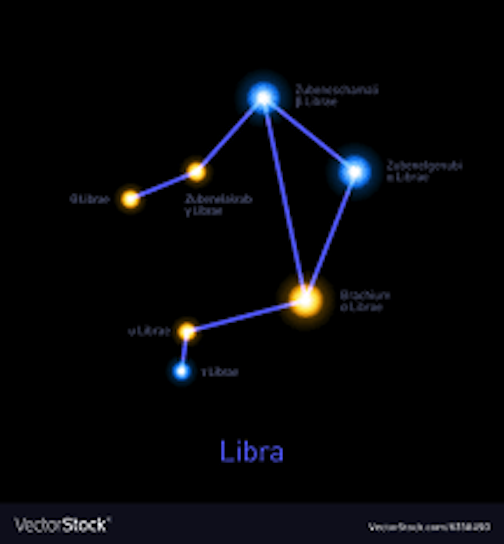 Shown below is a simple diagram of the Libra Constellation. This page features a cool collection of free printable Libra clip art and graphic designs. Libra is the name of a group of stars located between the constellations of Virgo and Scorpius. 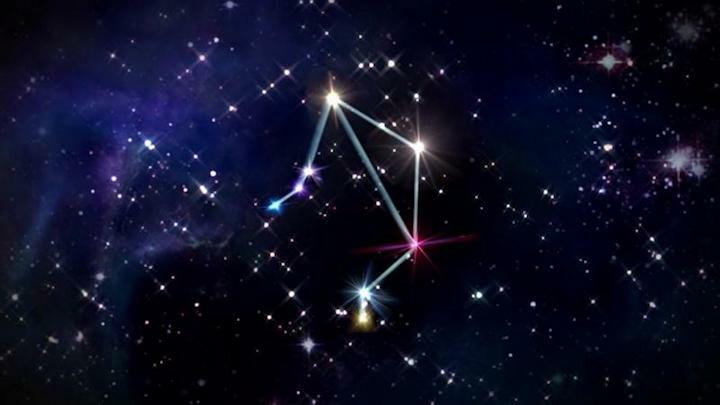 The brightest star in the constellation of Libra is called Zubeneschamali. 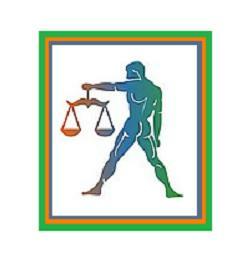 The Western Zodiac sign of Libra is symbolically represented by a weight scale, also known as a balance. Libra is the only Zodiac sign that is NOT represented by the symbol of a living creature. People often wonder what ancient Babylonian astronomer actually imagined a scale in at that configuration of stars. Perhaps a better explanation is that the Libra Constellation is named for the fact that the seasonal scales are in equal balance. The sun enters Libra at the Autumnal Equinox, at the time of year when day and night are of equal length. It is believed that the scales are meant to illustrate this equality. People who are born under the sign of Libra celebrate their birthdays between September 24th and October 23rd. Scroll down to see more Libra constellation clipart symbols. To print any of the images shown on this page, just right-click on the chosen image and select a SAVE option from your drop-down menu. This will bring the image to your picture file. From there you can reduce or enlarge it as needed for best results. These images can be used to adorn your correspondence, design a logo, decorate a web page, or for any other personal use you can imagine. For more clipart symbols, tattoos, zodiac signs, and other free printable designs, click any of the links on this page. The sign of Libra is often associated with people who have an eye for beauty and a need for balance. They can be good writers and communicators, as well as analytical thinkers. Libras are generally social and sensual, with often a tendency to think positive thoughts. On the down side, Libras can also sometimes be insincere, and may frequently be indecisive.